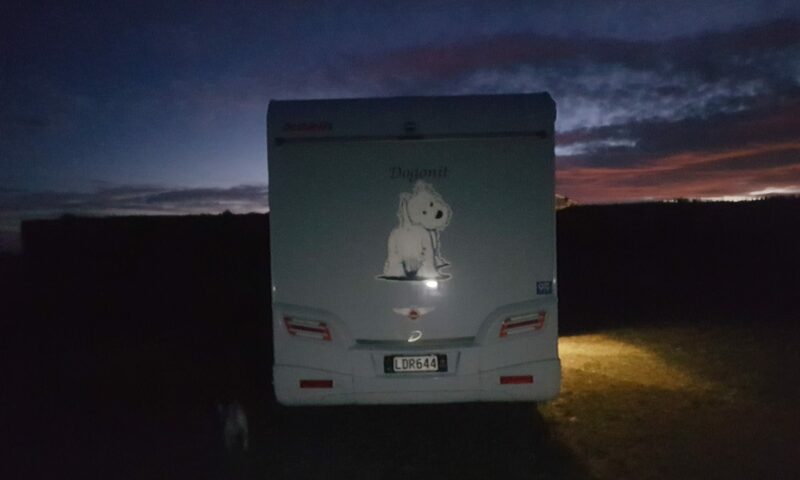 Since Donna wrote the last blog we returned to the lovely Heathers and drove into the same paddock we left two days earlier and bugger my days the ground had gone soft on us and for the second time on this trip we got stuck. Heather’s neighbor was a scholar and a gentleman and come to our aid and towed us out. We stayed two nights in Christchurch and the time flew in the quiet of the farm. We departed Christchurch on Thursday the 6th starting our journey back to the North Island. We stayed over just south of the coastal Kaikoura road at an NZMCA park at Parnassus. The park was converted from and old school and was well used by travelers either as a rest prior to heading north through Kaikoura or resting after the trip down from Blenheim. We departed the park early on the Friday to beat the build-up of queues through the road works. We had a very good run an only got held up for any period of time on one occasion. One just hopes that the work completed will not be in vain as it is hard to see how the cliffs can be stopped from crumbling down over the road in the future. Arrived at Blenheim at around mid-day and stayed in Riverlands Road House Truck Stop. On power and reviewed our go to for Saturday. Had lunch at the Café and Donna realized why it was a truck stop after ordering the big breakfast. Even my mince on toast with eggs was a mission. Saturday we looked around Blenheim and ended up having lunch at the Brancott Estate Vineyard. What a neat place the view over the vineyards with the North Island in the back ground was just awe inspiring. The meal and the wines were superb and Donna found her companion just adorable. Off today to Picton and the ferry. We are a bit stunned as to the finality that catching the ferry brings to the journey. We have enjoyed the people and the scenery in the South Island and know we will be back to carry on the wonderful journey down the West Coast etc. We would like to say our thanks especially to the people below as we feel that they made the journey just that tiny bit more memorable.